Even natural health magazines and newspaper-nutritionists get it wrong. And frankly it’s lazy. Lazy research, lazy journalism and misinformation that people with a platform feel is acceptable to feed to the public. 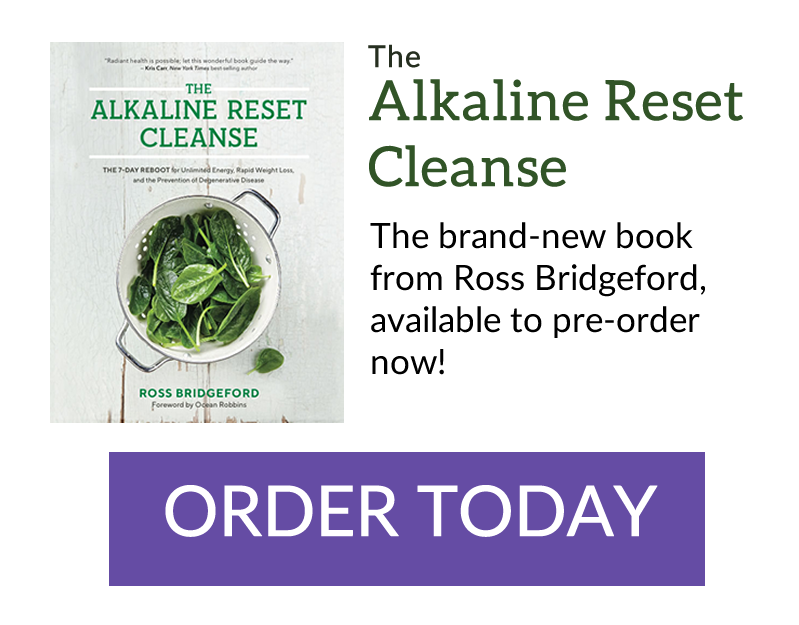 There is such an attempt to discredit the alkaline diet, yet millions of people have regained their health and conquered health challenges with it. The alkaline diet is all about eating and living clean, with real whole foods, natural foods and a focus on cutting out the crap that is directly responsible for millions of deaths each year. Why is this not acceptable to some? So I finally felt it was time to put a few things straight. It’s NOT ABOUT CHANGING YOUR PH! 99 out of 100 articles from doctors, mainstream ‘health experts’ and the media say the alkaline diet is not valid because you can’t change the body’s pH. They say that the body has an intricate system in place to always maintain your pH level – no matter what you eat. This is not the aim of the alkaline diet. You are not trying to make your pH more alkaline. The entire focus of the alkaline diet is to give your body the nourishment and tools it needs to MAINTAIN that pH. Whenever I read an article about the alkaline diet online or in the print media and they start with that premise, you know you might as well ignore the rest of the piece. If folks like me who believe in living alkaline DID think we were trying to make our body pH 8 or 9 then we would be nuts. And we’d be dead. Incredible stress occurs in the body when our body has to constantly take the action needed to maintain our pH. This is the basis of chronic disease and the myriad health challenges most people face. It causes inflammation, immune imbalance, yeast and candida overgrowth, digestive damage, weakened bones, premature aging, cell death and so much more. The sooner the media understood that the alkaline diet is about eating the foods that will support your body, and eliminating the foods that stress the body (it’s as simple as that), the better. p.s. it’s not about changing your pH. It’s not about changing your pH. It’s not about changing your pH. ➞Takeaway Point: you can’t change your pH. The goal of the alkaline diet is to feed your body the nutrients and nourishment it needs to MAINTAIN your pH. The media so often bundles the alkaline diet up in it’s weight loss guides, or reviews of ‘top ten diets this summer’. This is not what the alkaline diet is. In fact I wish it wasn’t called the alkaline ‘diet’. My Live Energized approach to the alkaline diet is: it’s lifestyle that nourishes your body with every tool it needs for you to thrive and live your best, most energized life. If you want a quick fix, that’s fine – totally. But the alkaline approach is all about a lifestyle. It’s about abundant long-term health and vitality. Especially the way I teach it. I believe that health = energy = happiness. It’s as simple as that. Living alkaline is not about losing weight and looking good. It’s about feeling energized, full of vitality, strong and vibrant – and losing weight and looking good will be a nice by-product of that. I believe that when you have energy, every area of your life can grow and improve. When you have energy you wake up earlier, you have time to have a delicious, healthy breakfast with your family, you perform better in your career, you think clearly, your mood is enhanced. You have time to enjoy your interests and hobbies, waking up earlier and staying up later without crashing in front of the TV. Your relationships, career, finances, health and happiness all improve when you have that abundant, all-day, natural energy. This is what the alkaline diet LIFESTYLE is all about. And this is what Live Energized is all about. And what I am all about. And remember, it’s not about giving everything up and living a perfect life of salads and juices. You never have to be perfect, you never have to give up all of your favourite foods. You can still go out with friends, you can still eat at restaurants and have a blow out, you can still enjoy treats and cheat days. You can still have a life! It’s about living consciously, living 80/20, making the right choice when it makes sense and having a treat when that makes sense. It’s about getting the good in as a priority and letting the bad stuff take care of itself. It’s about loving your body and loving the way you feel and letting that guide your food decisions. ➞Takeaway Point: it’s about making healthy changes, sustainably, so that you can get energized, healthy and happy and keep it that way – without giving up everything you love. Sounds good to me, where do I start? Yum, sounds delicious! What’s in it? Per person you get the juice of one apple, 165g of pineapple alongside the green stuff (broccoli stalk, kale and spinach). Don’t get me wrong, the broccoli, kale and spinach is great. Awesome in fact. But you’re drinking it with FORTY-THREE GRAMS OF SUGAR). A can of coke contains 39 grams. Now, I am not saying that the fructose in the juiced fruit is like-for-like comparable to the high-fructose-corn-syrup in the cola, but it is not far off. Research has proven that fructose without fibre (ie. Juiced fruits) causes absolute havoc in the body. The world is wising up to the fact that we should not be consuming juiced fruit (yes, even when we juice it ourselves) – but of course, there are a lot of people who have built their business on saying fruits in juices is healthy. Fruit contains sugar. That’s a fact. Fructose, glucose, sucrose, galactose…they all have the same result in the body: inflammation, acidity, insulin resistance and more. Whether they are ‘natural’ or not doesn’t matter. Fruits, generally, are not alkaline forming, so we shouldn’t be juicing them to remove the fibre. We should eat them in moderation, in-season and whole – with the fibre intact. ➞Takeaway point: stop juicing fruit – it’s not alkaline and it’s not healthy. I love it when the media and mainstream nutritionists claim that the alkaline diet is unproven and there is no research to back it. If they had looked even for a second, they would see hundreds and hundreds of research papers proving the alkaline diet is valid and beneficial for health. Research Title: Influence of nutrition on acid-base balance–metabolic aspects. Published In: European Journal of Nutrition 2001 Oct;40(5):214-20. Takeaway Quote: “It is well established that diet and certain food components have a clear impact on acid-base balance. Published in: Semin Dial. 2000 Jul-Aug;13(4):221-6. Authors: Frassetto L1, Morris RC Jr, Sellmeyer DE, Todd K, Sebastian A. Published in: European Journal of Nutrition; 2001 Oct;40(5):200-13. Research Title: The Alkaline Diet: Is There Evidence That an Alkaline pH Diet Benefits Health? Do you need research to tell you that’s a good idea? Probably not, but the evidence is there too. ➞Takeaway Point: the alkaline diet has been researched and proven over and over. There is no financial gain to popularise the alkaline diet in the media. There is abundant evidence of food being able to heal just as well as many conventional medical treatments (see the research on turmeric for starters). You can’t bottle the alkaline diet and patent it. The pharmaceutical industry can’t patent kale. And remember there is hundreds of billions of dollars of commerce at stake if people stand up and stop consuming cheap meat, grains, dairy, sugary drinks, fast foods the way we have for the past hundred years. There is no huge corporate-level revenue available here. The very essence of the alkaline approach puts whole food, natural, locally grown where possible, organic where possible, real-as-close-to-the-earth eating and living at the fore. ➞ Takeaway Point: There is no big-buck, big-food profit centre here, so don’t expect to see the mainstream ever truly adopt a natural approach to health! It’s up to us to exercise our choice, live consciously, eat consciously, be aware of our body, how we feel and to ignore the marketing, the half-truths (margarine is heart-healthy? McDonalds gets the Heart Foundation tick? Fats are bad for you? ), and the alterior motives of the media, government and pharmaceutical industry and take the power over our health into our own hands. We’ve never had greater access to information, knowledge and choice. Let’s live healthy, live energized and thrive! P.S. Take a look at the Alkaline Recipe System. With hundreds of easy-to-prepare Alkaline recipes PLUS 7 goal-based meal plans each with itemized shopping lists (for goals including weight loss, more energy, better digestion, clearer skin and more) – it makes reaching your health goals SO easy! + Make sure to sign up for our free newsletter to get our latest alkaline recipes delivered weekly (it’s free). Hi Ross,I’ve been drinking water with lime juice,eating more veggies. I have CKD stage 2. Don’t always have time for self and I’m not up to date with computers. Want you to know I appreciate what your saying about getting body healthier. 1. Are cassava tortillas/cassava crisps an alkaline food acceptable to the alkaline diet? Please make your articles “print friendly” by adding a “print” tab. Thanks! Yes, we are so media and Big Pharma driven in our society, that most Americans miss the truth about life-style changes that will prevent disease, and add years to their lives. I am already experiencing the good changes in my overall health from eating organic alkaline foods, avoiding GMO’s and anything processed. And people around me think I am a lot younger than I am. Thank you for being on the front-lines, so to speak, of helping people understand how to achieve optimum health! Good evening. I find the literature interesting and am trying to understand the diet. Thank you. Wow, are you charged up! Woo-Hoo. Wonderful article. You did #5 with justice. Also, they wouldn’t be able to sell so many drugs and operations as they do if everyone got healthy on their own. Keep up th good work. I love your outlook on life, and your passion to educate people into making healthier choices. I have been a vegetarian now for about 7 years, bordering on it for many years before. It all came together for me when I was doing my Yoga teacher training in 2010. I have made a huge difference in my life enjoying the benefits of a plant based diet combing it with stretching and strengthening the body using the breath and participating in the present moment frequently. I try to pass this on to my students as well. I would always drink apple cider vinegar for good health 2x daily, is this not the case and should I be avoiding it? Also whee do Gogi berries sit? And lastly can you have too many nuts?? My name is Tim, I’m about to be 29, I have Fibromyalgia and Hypoglycemia, I have been in the Keto Lifestyle now for just under 3 months and feel relief I hadn’t felt for nearly 16 years, I consume less than 5 ounces of cheese a day, depending on Fat bombs, or full Fat Mini Cheesecakes, or cheese itself and the cheese is imported from Grass fed/Grass finished cows, I don’t eat any cheese or dairy product unless it is from Grass fed cows. Because of my illness I’m restricted from certain types of food because of my sensitivities, Keto has been a life saver as I’m eating a bunch of veggies now, and consume all sorts of fat except trans fat. Is dairy, or even high quality something I need to let go of? It doesn’t cause me issues, I’m hyper aware of my body, hyper sensitive to how I feel about food. I think this is absolutely one of the absolute best resources you have provided us with to share with our Loved ones ! It rings true with the message you always share, it’s not about what we shouldn’t eat but rather all the options that are available and it’s FUN! It seems most things from the media feel burdensome, like an enormously heavy weight on a huge heavy chain they are always trying to hang on their audiences sucking the life right out of them leaving them despondent and lethargic. But you, Ross my friend, are like a breath of fresh air, a light in the darkness, hope in the face of despair, sharing life changing life giving golden nuggets of how to take care of ourselves with wholesome goodness and nutrition with those we Love ! I know, i am givng my family the absolute very best i can by following your principles and quite frankly i do not even want to ponder where we would be on our health journey which effects every aspect of our lives without them. You know, we were going along thinking everything was fine and then BAM we found out real quick and faster then desired it wasn’t! Then we came across your resources just waiting for us like a safty boat in the middle of a turbulent ocean. We were scrambling for answers Fast ! I spent 14 hours a day researching for answers heart pounding scared to death and dug my heals in for the fight of our life so far. Website after website promised to email information…. Never happened, then if they did 2, 3, 4 weeks later, 2 MONTHS later! (Seriously!) it was reading absolutely useless information and i needed answers IMMEDIATELY, REAL SOLUTIONS! I almost quite, I almost gave up with all the misinformation out there ! I didn’t now if i was doing the right or wrong thing! THEN i came across Energized for Life, Ross Bridgeford, sitting quietly, dark room (as to not disturb my husband) 4am in the morning, skeptically i signed up, then kept researching at a turtles pace by now, then Ding…. Huh? I have an email? IMMEDIATELY? Impossible, No, can’t be, should i check? Couldn’t hurt, what if, just try one more time, so i did. There in my inbox sat a welcoming email to Energize for Life, with 3 short videos. My brain was exhausted from researching so about all i could do was sit and listen….. Water Ross said, just get up right now and just start drinking water, so we did….. WOW! WHO KNEW!!!!! THEN we learned about water I’M STILL LEARNING ABOUT WATER! Then a simple green smoothie i know by heart now. Then, Health true health and vitality began to open up to us. Now, with the principles we’ve learned we know how to make the best choices of food and nutrition we can. Ross with your gift of healthy eating giving us healthy living and divine intervention we were given a second chance on life and we took it ! I personally will never forget!!! We are SO grateful for all the hard work you put in to bring us ALL these vital resources words fail to express our gratitude!!! KEEP ON KEEPING ON My Friend, i have no doubt you have an ocean of good coming your way for all you give expecting nothing in return yet a life filled with rewards innumerable and priceless treasure full of wealth and the richness of the essence of life. YOU GOT IT !!! This is so awesome – congrats on finding the answers and more importantly TAKING ACTION! Thanking you for all this amazingly helpful information. I have a question.Please tell me ,spinach,sprouts etc. should be taken raw or steamed?My age is 48. So I’m confused on the whole pH thing. My body is very acidic and I’m trying to change it because I feel really horrible all the time. So what your saying is I can’t change it? The foods I eat will just make me feel better? I’ve seen people change some part of it from a urine test. What I’m saying is that your body will ALWAYS maintain a pH of 7.365 – 7.4 in your blood, fluids and several organs. It maintains a different pH in different parts of the body but this (blood, extracellular fluids, duodenum and other organs) HAS to be very very tightly controlled. If it veers off 7.365 you die. So the body will do whatever it takes to maintain that. Your body is not acidic. Your body is suffering the effects of your diet forcing it to balance this pH constantly up from acid to slightly alkaline – this is what we mean when we say I am acidic. Urine and saliva tests are just measuring what is happening in the moment. They can be interesting, a little useful, but can also be very misleading. For instance, someone with a very acidic diet CAN see an alkaline urine because their body is shedding calcium from the bones to help neutralise the acidity and this calcium (which is very alkaline) is excreted through the urine. Eating alkaline foods will give the body the tools it needs to neutralize this acidity and maintain this pH. When you maintain this pH effortlessly you will thrive. The right foods (fresh foods, unprocessed foods, veggies, salads, fruits, healthy fats etc) will do this. I am abroad and need the book now but can i have a e version and how do i go about it. I would like both volumes please. This is a very good article. I love the way that you throw all the facts in the Medias face LOL. I would love to send this article to everyone I know if I can get your permission. Either way I just wanted to let you know this is an amazing article. The article really touched me everything you said look proof. I’ve been eating that way for the last couple years and can prove that it works. Maybe even better than most medications. My body ph has been staying at 6.75-7. I can’t seem to get it higher. Is it good to be at this neutral spot or eat more raw veggies. I got on to this way of eating because I believe in my body to fight CANCER. Thanks for the right advice.Salute your mission. Comment… This query is a paradox. Do we change our PH? YES. The ways & means appear to be the focus in yours words. Do we change our PH as instructed by 99.9 % (most) guru’s instruct? NO. We personally feel you are correct but with an addendum /clarification to said NO. Do we drink alkaline water to modify our PH? NO. The stomach is 2 on the PH for a reason. Forcing said PH to be different is asking for the body to shut off its “auto pilot” and in turn hampering the intent of the proper path to a natural PH balance. We DO change our PH by the direct / indirect choices we make in life? Epigenetically speaking, we change/program our genetics daily, and perhaps even hourly, (voluntarily or involuntarily), by the Mentally, Spiritually, Emotionally and Physically exposures we absorb. This Includes gut health-LPS. Ross stated so well… (Baring a trauma or emergency). This one line is the meat of this article.. “The entire focus of the alkaline diet is to give your body the nourishment and tools it needs to MAINTAIN that pH”. Thanks for the great inspiring info. A natural doctor told me I’m very acidic have gout an diabetic 11/2 years ago I started to eat more alkaline diet not easy I appreciate more knowledge in this area. Great article and thank you for getting people on the right track. Knowledge is key and scientific evidence is essential. Well done! I would like to know what do you think about fasting 12 hours, by night( from dinner to breakfast, and then have breakfast 4 hours after, lunch and 4 hour after, dinner). is it harmful about the alkalinity or you recommend this living an alkaline style of life?. I usually consume products as Super Greens, Phour Salts, Cloropheal, Phflush. It says that fasting is healthy because the insulin is in a down level. It seems that having 5 times feeding is not to healthy as they are telling. Hi Ross, I have been seeing a naturopath who lead me to start eating more alkaline. She also mentioned being aware of the “eat right for your blood type diet” which I find somewhat hard to follow in addition to being alkaline. What are your views on the blood type diet and is it as important as sticking to alkaline foods? Thanks! I’ve been getting your emails for a while now and really want to eat more alkaline. As a mum of 5 (oldest is 13 youngest 9 months) I just find it really daunting and time consuming. Where’s the best place to start? Are oats OK to eat. I can’t seem to find whether they’re an acid or alkaline food. I use organic oat milk in drinks and eat organic oatcakes and wondered if I need to STOP it!! On a proofreading note, no “U” in 40 (“FOURTY THREE GRAMS OF SUGAR”). It’s Four, Fourteen and Forty, weirdly enough. Danke 🙂 I write at speed and these things can happen! I recently found the Alkaline Diet and think it is for me! I wanted to ask your opinion if you think this could really help. I have rosacea (not acne type, just red face). I have eliminated sugar a year ago and I eat gluten free but I cant give up my one coffee in the am and I do not eat enough green veggies. I am starting your green drinks. Anything you could add for me to do? I truly believe anyone can prove anything they want to prove. This leaves those searching for answers to deal with health issues in a real state of confusion and stress. And stress is the real anti-health culprit/thief. Stress takes the body out of homeostasis and begins cell and cell function breakdown. Finding peace and detoxing from toxic thinking is the real cure assisted by good nutrition. While your articles are written to reduce confusion how do you explain the numbers of people who have overcome cancer eating raw and big “super salads” yes – but also drank 8 glasses of sugar loaded carrot, beet and green apple juice a day and who even enjoyed a fruit smoothie mid-afternoon? (chrisbeatcancer.com) We can’t take a person’s experience away from them. The Gerson Therapy book even includes an apricot puree dessert and lots of white potatoe recipes. There is one cancer researching organization that promotes a fruit only diet for 5 days in a row and then switches to some fasting and vegetables for a few days then it’s back to the 5 days of only fruit. While I believe in eating alkaline because of the wonderful vegetables included I find myself wondering if pushing the “Alkaline Diet” is just another marketing tool? It’s hard to find an Alkaline Diet promoter who doesn’t have something to sell. I must say however, that I find your articles rational. Hi I have incurable liver mets that has spread from my breast. I am not a statistic and I am determined to beat all odds and still be here in 10 years + so any advise that you can give me on eating healthy to improve my health and immune system would be very much appreciated. Why soak the almonds before eating them. Also are roasted nuts more acidic than raw? Greatly appreciate your site and your passion. My husband has Osteoarthritus and a friend who is a doctor and alternative medicine person suggested your site and the alkaline ‘lifestyle’. She cllaims he can be cured! It does seem as if the media is not supporting this view and your article really helps me in convincing my husband to give this his commitment. He loves fruit and alcohol way too much to be convinced. Also all the bad press with Mr Young isnt helping!! Question: Do you have testimonials from people who have been cured of their incurables? All the best to you and thank you! and exercise by taking walks almost daily. I have just learned from Anthony William that FRUIT is the best. And that the sugar “sugar” in fruits are not harming anything since it is already digested before it reaches the intestines. And that it is crucial for us to eat a lot of fruit since it has such value in vitamins etc. My husband has stage three kidney disease. He is supposed to limit his phosphorus and potassium. He had been told to eat white rice and white bread, which is something we have never done. And he is supposed to eat as much fruit as he wants to. All of the above seems to go against the alkaline approach. When he was first diagnosed he was so afraid to eat anything that about all he would eat was white rice. He rapidly lost 20 lbs which he did not need to loose. At dinner I pile on the vegetables. But that is the only time he eats any. I sent him your article about kidney disease being turned around with the alkaline diet. If that stull does not convince him would supplementation be enough? So grateful to have found you and your site. So informative, so sensible. I wish everyone was open to what you teach and who you expose. It would be a much saner world. Thank you Ross for your research. Much appreciated. Great informative article. Good effort!! Media and the Big Pharma and the Big Food industry and the Politicians as well work in tandem to keep people sick so that they can make money out of us. Thanks so much Ross! This is an excellent article, and really brought everything into perspective. It is the lifestyle and keeping our body in balance through our eating and drinking habits. I especially love the section about the 43 grams of sugar green juice! I have a co worker that has been doing this Quick fix / go green juicing , and feels this is the healthiest thing. I told her she might as well drink a can of coke because it contains less sugar. I have only been following this “diet” for about 4 days, and I must say, I can see / feel a difference !!! Thanks Ross! Please continue the great work. It is surely appreciated…again, thank you. I was reading your arcticle on not changing your PH. and there is a statment that I do not agree because of the empiric proof that I encounter everytime in my clients. I am a Gerson Practitioner and a nurse and we check Lab values every month of our patients. so they start with baseline labs and almost totally vegan diet with juices and enemas for detox and labs are reeated every month and you clearly see the PH changing gradually! some start at 5.5 and go as High as 7.5 during the therapy that goes aover 2 years. THe rest I reall feel you are very good with your website and staying on top of things. Hi Didier – the excretions (urine, saliva) etc that you’re reading – or even if it’s the blood – will move to more alkaline and this is a reflection that the body is in balance. If you are in an acidic state with an acidic diet you will find the urine is mildly acidic. Once we become more balanced it will become more alkaline. Think of what I am saying at a bigger picture level – when the body is in balance our urine, saliva and blood are slightly alkaline but the stomach etc is still acidic as it should be. We are not trying to alkalize our body we are eating alkaline foods to help our body to maintain the slightly alkaline pH in our cells, blood and other fluids as it should be – 7.365. But we are not trying to go higher than that. We are not trying to make our stomach alkaline, or our colon, or our pancreas more so than it should be once we are in perfect balance. The big picture is – we are not trying to become alkaline, we are trying to maintain the alkalinity at a level it should be. Very good and necessary article! First of, when I find articles about alkaline diet not working, they almost begin the article with saying it does not work, and it is just another crazy hobby, which means no research made = no real conclusions. It must be very sad people who want to be a journalist who is told exactly what to write, and what to write about. They don’t get their chance to do research, or to come up with their own opinions. Then they would be fired, and even if they did it anyways their article would never hit the public. But these journalists are actually hiding and bending the truth, where the truth could save human lives. That is scary! That’s like letting people get sick and die on purpose. Thank you for your homepage, it is very inspiring and helpful! If you blend the whole fruit with greens to make a smoothie instead of juicing the fruit would this be acceptable on the Alkalizing Diet as you would be consuming the fibre with the fruit? Thanks Ross for a most interesting article. Although thanks to your previous emails I am aware of a lot of the information in the article. What you have given me now is a great summary on alkalizing that I can show my family who are convinced that juiced fruit without the fibre content is the way to go. Thanks again and keep up the good work that you are doing for us all. Very timely to receive this from you! I needed this get back on track because I was feeling so great following your guidelines & making your recipes. Then I started sneaking in some delicious fresh strawberries & blueberries that are in season right now in my daily smoothie. It tasted great & I kept doing it and realized the other day that I didn’t feel as great as I had. What happened, I wondered? I’m back on track now – Thank you! !